We are a friendly group of walkers based in the stunning countryside of Calderdale, West Yorkshire. We are a part of the Ramblers. We hold walks most weekends throughout the year. These are guided by experienced leaders who know and love the area. You would be very welcome to join us on any of these walks. We do not require you to be a member: just come along, and see if it is for you. We are always interested in walks from new leaders. If you are a member of the Ramblers and would like to lead for us please get in touch. Please find attached below printable versions of the Calderdale Ramblers Winter 2018/19 Group Walks and Events Programme. There are two versions of the booklet, a compact version and a larger A4 version for those that need a bigger print. Both of which need to be printed landscape. https://www.ramblers.org.uk:443/lbs/web_uploads/333049/Calderdale Ramblers Winter 2018-19 Walks Programme A4.pdf. The printed versions will be handed out at local libraires and tourist information centres during the next week. Do you fancy walking somewhere different in West Yorkshire then visit the Bingley Walkers are Welcome webpage at www.bingleywalkersarewelcome.org.uk to see what walks and events are going on in the area. Bingley has been officially accredited as a Walkers are Welcome town since 2015! To find out more or if you have any queries or questions and are unable to contact the walk leader, please contact us via email at calderdaleramblersgroup@gmail.com. Alternatively, please telephone the Membership Secretary - Susan Holmes on 07940082098. 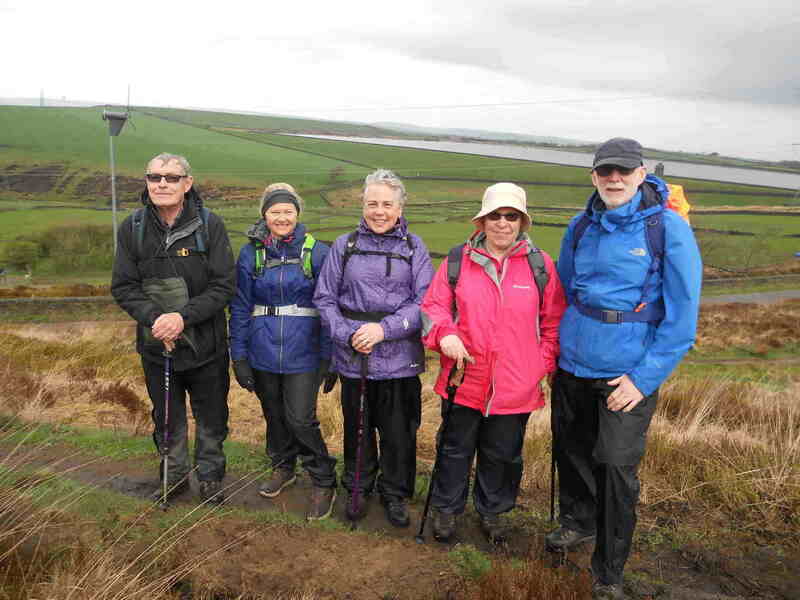 The Calderdale Group of the Ramblers elebrated the 40th anniversary of the opening of the Calderdale Way by leading 10 walks throughout the summer covering this circular route around the borough. We hope people have joined us for some or all of the walks to enjoy the beautiful and varied scenery of Calderdale. Photos to be added shortly. Join the Ramblers and become a member of Calderdale Group.